Relais Corte Cavalli is an ancient and fascinating place where you can still breathe the magic atmosphere of the past, in a location immersed in nature and designed to offer guests a relaxing vacation by Lake Garda. The Relais, built on one of the oldest houses in the area, is today a 4-star hotel situated in Ponti sul Mincio, although its history started centuries ago, in the late sixteenth century. The structure of the Relais Corte Cavalli then included a manor house, a central farmyard and a complex of rural buildings constructed all around. There was also a small stable and the Santa Margherita oratory. In this period, the structure was owned by the Morandi family. The ownership was transferred from the Morandi family to the Cavalli family in this period. Leo Cavalli, who had married one of Pietro Morandi’s daughters according to some documents, left the court and all the related property to his brothers Prospero and Lucrezio. After various vicissitudes related to inheritance, the ownership was entirely transferred to Lucrezio’s son Camillo Cavalli. Camillo’s son, Pietro Varo Cavalli, expanded the court, giving it the appearance that, despite some finishing touches to the wall, it still has today. The court was enclosed by a moat surrounding it, which gave it the appearance of a fortified countryside castle. The small Santa Margherita church was renovated slightly below the manor house: the oratory was painted inside, the altarpiece was commissioned (with the icon of the titular saint) and two small windows were opened. The ownership of the estate was transferred Pietro’s children: Lucrezio, Alessandro, Camillo and Margherita Cavalli, who just preserved the exterior structure of the court and remained its owners until 1726. Starting from 1850, the manor house was restructured at the sides and given the current quadrangular shape. The estate was included in the 1829 Lombard-Venetian real estate registry in the territory of Gazzolo with Cavalli (otherwise called Gazzolo ed Uniti), where the first meaning testifies to the importance of the site, so much so that the entire district was identified with the name. In 1913 the estate was purchased by Emilio Bazzoli from Peschiera del Garda, who bequeathed it to his daughter Adele Bazzoli in 1945. 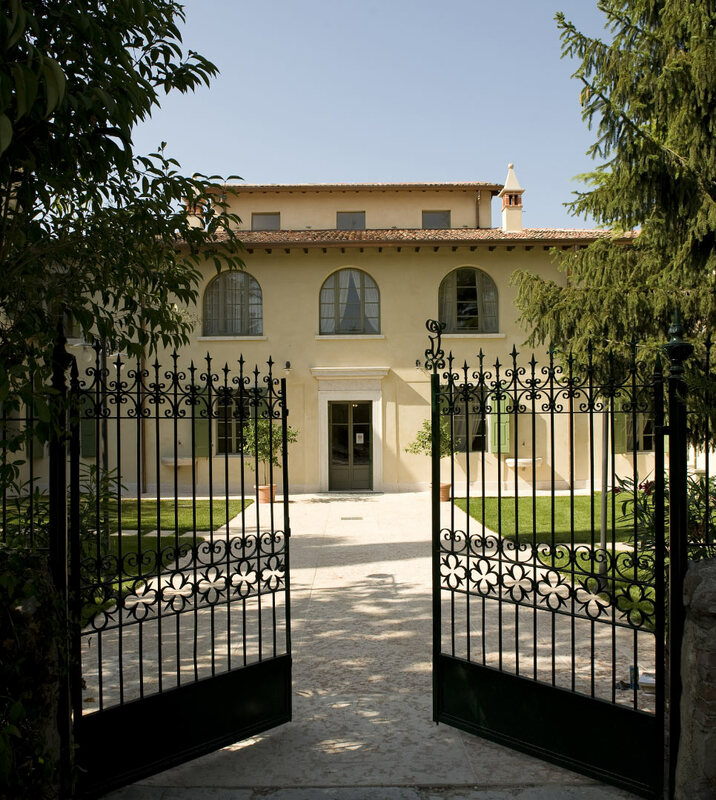 In 1994 the property was inherited by her cousin Innocente Girardi and later by his daughter Anna. The whole estate, including buildings and related land, was purchased by the current owners.